Thank you for your kind consideration of clicking on one of my affiliate links that may be in this post. Using my affiliate links when you buy something doesn't cost you any extra, but every little bit helps me to keep this blog up and running to help others. I'm so grateful to each and every one of you! 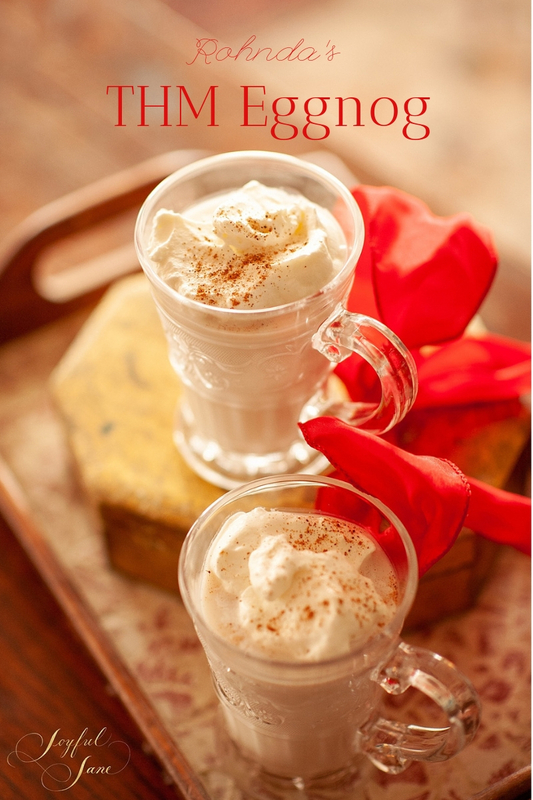 This THM Eggnog is a lighter version of traditional eggnog and it is sugar-free, so it can be enjoyed without guilt! Eggnog is a family favorite and we look forward every year to drinking my Dad’s “famous” (to our friends and family) 5 Minute Eggnog (alcohol-free so everyone in the family can enjoy it) that he makes with pure maple syrup. It is positively delicious, but the maple syrup can spike blood sugar, so for those wanting a version that won’t spike blood sugar like our beloved maple syrup one, this one fits the bill! All the recipe credit for this THM Eggnog goes to my fellow THM blogging buddy, Rohnda Monroy, who recently closed down her blog. She has allowed a few of us blogging friends to share them instead.It isn’t complicated to make and the creamy goodness tastes great anytime. Rohnda’s recipe below calls for cinnamon in the eggnog, which is a little unique. 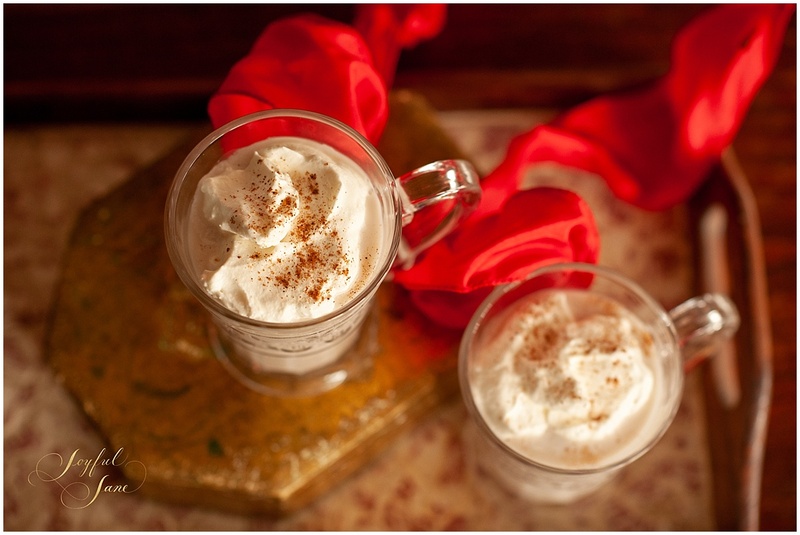 I always like a little sprinkle of nutmeg on top of my glass of eggnog, so I add that on top of each serving and if I am feeling extra decadent I’ll add a dollop of lightly sweetened whipped cream on top! YUM!!! 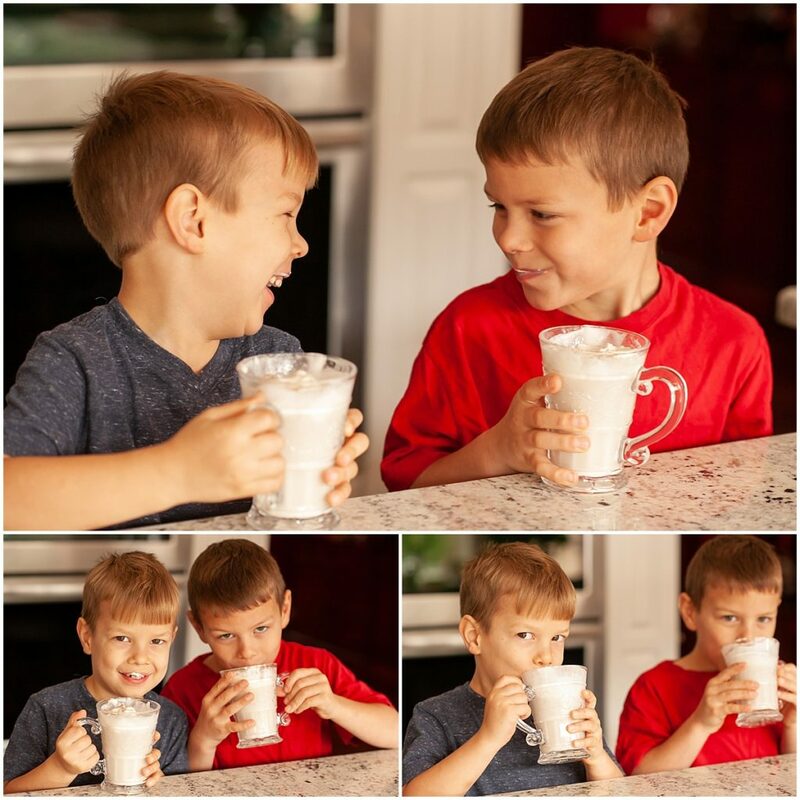 This eggnog is kid tested and approved! All of my children enjoy drinking it! Start with pouring 2 cups of Almond Milk into a saucepan along with cinnamon and heat on med-low until it comes to a gentle boil. Separate the yolks from 6 eggs and put in separate bowl or pitcher. Mix sweetener in with the eggs. Remove saucepan from heat and gently ladle hot milk into egg mixture while gently whisking constantly. You will want to do this step nice and slow so that your eggs don’t curdle. After it is all incorporated, return to stove on low heat and heat for 3 to 4 minutes more. DO NOT BOIL! Remove from saucepan and chill in a refrigerator for 1 hour. Once chilled, add the vanilla, 1 cup of heavy whipping cream and two more cups of Almond milk. I like to quickly blend it all in a blender at this point to fully incorporate the egg mixture but this step is not required if you don’t feel like you need it. Taste for sweetness and add more if desired. Serve cold and my recommendation is to add a dollop of lightly sweetened whipped cream and a sprinkle of nutmeg on top of each serving. This recipe will make about 1 quart but can be doubled for large families, Holiday gatherings or just to drink yourself. Can you substitute eggbeater for egg yolks? I am sure you could, but you probably wouldn’t need to cook the mixture.